Layer up the smart way. 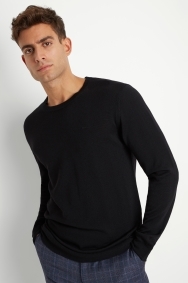 With its fine merino wool knit, classic black colour and subtle DKNY logo, this jumper will see you looking the part for work while feeling warm and comfortable. 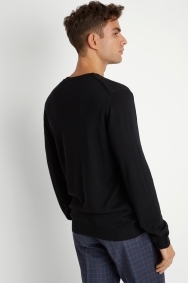 It’s easy to layer but will also look smart with just trousers. 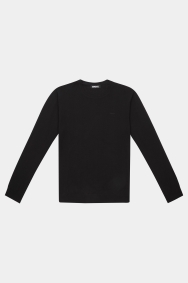 The crew neck keeps your look on-trend. Wear over a white shirt and a pair of smart grey trousers. For a more relaxed outfit, try it with chinos instead. At least it is easy to exchange items in this store.